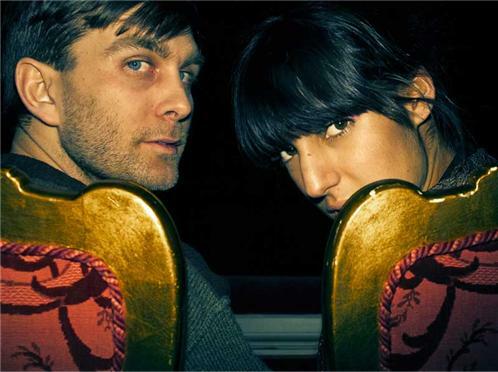 Wildbirds & Peacedrums is an experimental band from Sweden consisting of two members, Mariam Wallentin and her husband Andreas Werliin. The band formed in 2006 when the members met while studying musical improvisation at the University of Gothenburg. The music mostly consists of only drums, various percussion and electronic samples, played by Andreas Werliin, and Mariam Wallentin's vocals. Mariam Wallentin also plays strings and Andreas Werliin provides additional vocals. Their musical experimentation has been compared with Bjrk. The band released their first album Heartcore in 2007, and were awarded with rets Jazz i Sverige, Swedish Jazz Act of the Year, and this gave them finances for the recording of their second album The Snake which came out in 2008. The band got critical acclaim after their first album, and in the summer of 2008 they had their first USA-tour and played at several festivals in Europe. They have also been support for acts such as Deerhoof, Efterklang, Bonnie 'Prince' Billy, Lykke Li and St. Vincent. Wildbirds & Peacedrums proceeded to release two vinyl EPs: Retina (released May 24) and Iris (released June 21), which were released on August 23, 2010 as an album entitled Rivers.